As some of you may be aware I have been experiencing some changes in my skin over the past 4-5 months. At first I was a little confused by the changes and couldn’t understand why all of a sudden I was experiencing adult acne. I decided to make a few alterations to my skin care routine to focus and improve the issues I was experiencing. If you would be interested in a full skin care post, including some before and after photos please let me know as I would be happy to share my experiences to date and what I have done to help make a vast improvement. Firstly I wanted to focus solely on two of my current big loves in my skin care routine – my day and night creams. 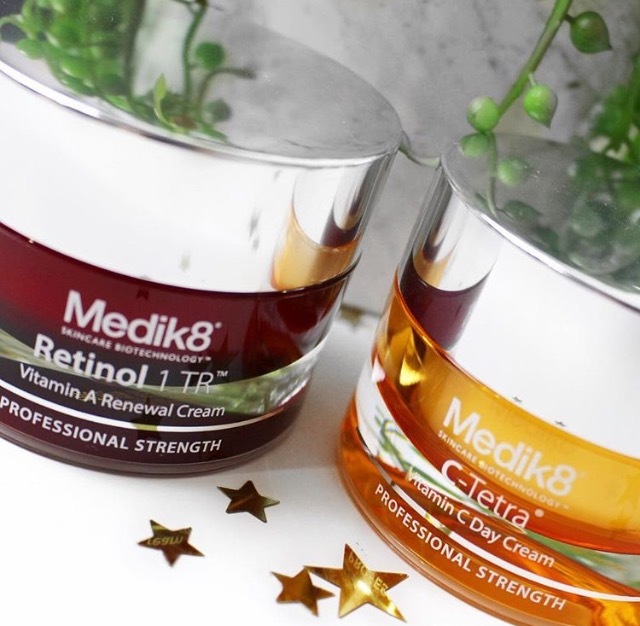 Both of these are from Medik8 – I absolutely adore this brand; I love the new and exciting skin care innovations which they continue to launch. I chose to keep my skin care routine limited to a few brands. I found this has many benefits in itself, as we need to understand each product and what its individual strengths are. I also don’t want to be overlapping on certain ingredients, as this could lead to an unnecessary high dose and a potential skin irritation. Helps energise and brighten tired skin with added hyaluronic acid to boost hydration and support the skin’s natural barrier. Combined with vitamin E for added antioxidant benefits. Suitable for all skin types. For first signs of ageing. Ideal for those with super-sensitive skin that want to try out retinol, but still with the punch to give you results you will notice and love. Suitable for all skin types. My Experience: I adored the texture of this cream; it is very light and feels extra hydrating on the skin. It doesn’t leave my skin feeling sticky or anything either which is a nice added bonus. I found the absorption rate was also really good with this cream, which is very handy on those rushed mornings before work. 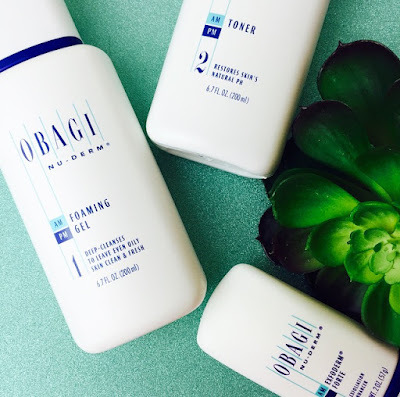 I am also a big fan of anything that helps incorporate additional hyaluronic acid into my skincare routine, as I have struggled with hydration levels for as long as I can remember. The added boost helps to brighten and even my skin tone. For first signs of ageing. Ideal for those with super-sensitive skin that want to try out retinol, but still with the punch to give you results you will notice and love. Suitable for all skin types. For first signs of ageing. Ideal for those with super-sensitive skin that want to try out retinol, but still with the punch to give you results you will notice and love. Suitable for all skin types. My Experience: This cream screams luxury for me; I love the thicker formula, especially for a night cream. I am sure you are wondering what TR is in reference to, right? Well this is in relation to the advanced technology of a 0.1% dosage (very gentle) which is gradually released through an innovative ‘time release’ process. This aids the practice for a slow delivery to into the skin – this is what helps to ensure a more gentle approach and reduced irritation. I would still suggest a gradual introduction of this cream into your skin care routine to ensure the irritation from the retinol does not occur. Overall I am really enjoying both of these creams and finding my skin is responding really well to them. I am finding my skin is less dull and has a more youthful bounce to it which was very much lacking a few months ago. *Products were kindly sent to me for consideration. All opinions are my own and 100% honest. For first signs of ageing. Ideal for those with super-sensitive skin that want to try out retinol, but still with the punch to give you results you will notice and love. Suitable for all skin types. Thank you for this blog post! I have been battling with my skin of late and have heard Retinol is amazing but wasn't sure what products to try. I would definitely be keen for you to do a full skin care post about your journey. I am always excited to see reviews of people's skin care routines and what products they have had success with. My skin is going so poorly right now (I hate hormonal crap we have to put up with!) and I am searching for new cf skincare right now and turns out Medik8 is cf and vegan! 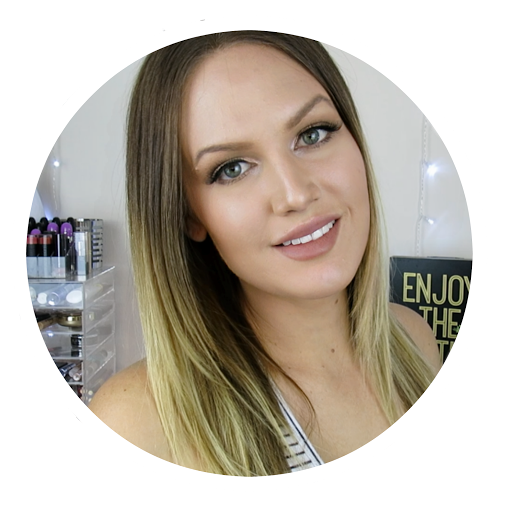 So excited to give them a try, great review Shan <3 I'm excited to give them a try! The Vitamin C Cream looks AMAZING! Sounds like it would be perfect for my mornings! These sound great! The vitamin c is what I need! Quick absorption rate is so important to want to use the product morning and night! These sound great for problem skin. AH!!! I'm so happy I read this post!! I've been recommended these 2 products. I had a sample but it was only enough to use to see if my skin would react to them. So happy to hear you are loving them. I'll certainly be picking these ones up now. Love the sound of the Retinol Renewal Cream! I love skincare that feels luxurious. I'll look out for this brand. Great review! I found I was getting quite a bit of adult acne late last year! It honestly felt awful, but I did a similar thing and kept my products to a minimum but the most effective!